Chrome OS and convertible Chromebooks with touch screens or those that fully detach are the future of Android tablets. 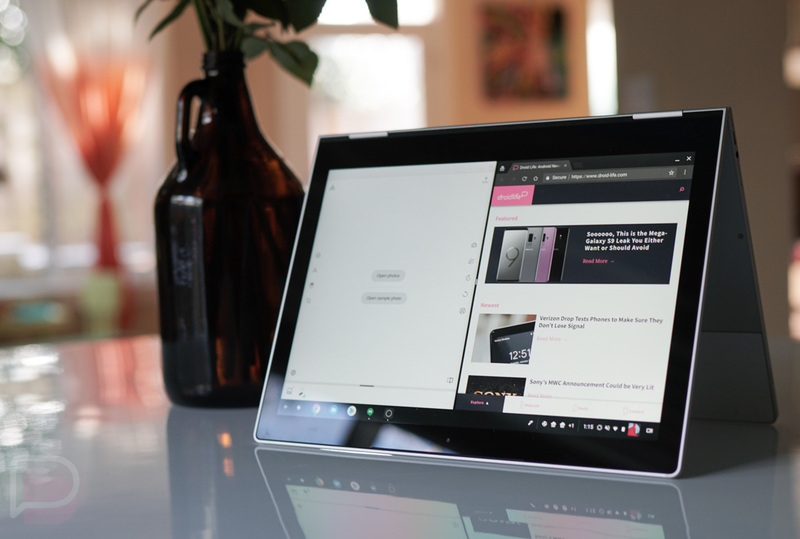 With fewer Android tablet options available each year and Google baking in feature after feature into Chrome OS to make it even better than an Android tablet could be, this is an exciting time. For example, the folks ta Chrome Unboxed discovered that Google has already started building in a split screen mode for Android apps on Chrome OS. In a video they posted over the weekend, Chrome Unboxed shows off multiple Android apps running that are capable of being pinned into a split screen or multi window experience when in the tablet interface. It works like it does currently with Chrome OS apps, but with this functionality added, it shouldn’t matter which type of app you are running. To attempt this, you’d hit the multi-tasking button when your Chromebook is in tablet mode, then choose the apps you want to appear in each side of the split screen. Like in Android, you can then tap to each one to manipulate or slide the split screen bar to resize. Now, this current implementation is in the Canary channel, which is about as unstable as it gets for Chrome OS, just like with Chrome. Should this arrive in stable (and we have no reason to believe it won’t), it’ll have to hit Dev and Beta channels first. This is a big step forward for this hybrid approach to Chrome OS that relies on Chrome pieces and Google Play’s giant library of apps. For us to continue to get excited about the direction of Chrome OS and Chromebooks, this is the stuff we like to see, just like when we learned about apps running in parallel.